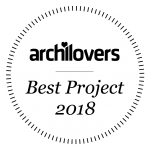 We have faced quite a challenging task to renovate public areas of Pullman Berlin Schweizerhof built in 1998 in East Berlin across the city zoo. The district is intended for businessmen, but recently it has become a fashionable place for young people owing to a large amount of parks, shops and design hotels. Renovation of public areas must not disturb the existing services and finishing but totally renew the interior and the space planning layout. Even among the European cities Berlin is in the forefront of modern design. It is not easy to invent something truly distinctive here, something that will become a magnet for visitors and citizens. When creating the design we were inspired by the architectural design style of Germany of the 1st half of the 20th century – Bauhaus. The functionality principle which became the basis of the style was defined by Ludwig Mies van der Rohe: Less is more. 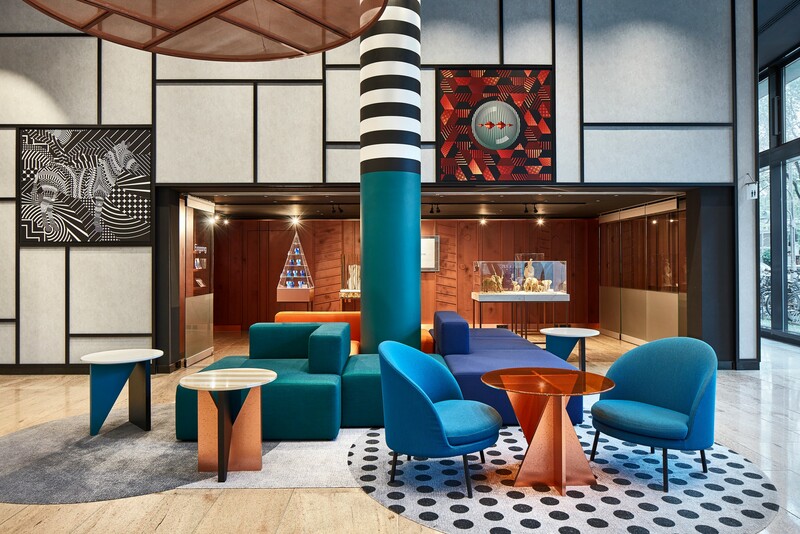 Following our own approach – the hotel interior shall form part of the city space – we decided to bring the nearby point of interest, the zoo, into the hotel and make it in the Bauhaus style. The intrigue starts at the main entrance. A giraffe meets the guests and passersby right at the doors of the hotel, and yet it is much more interested in what is happening inside the hotel, in the lobby, where it has put its long neck. 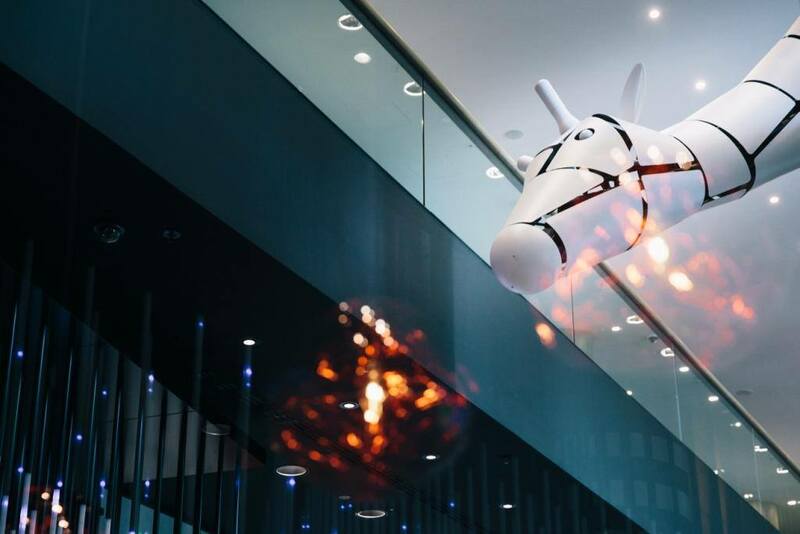 The giraffe is not the only ZOO objet d’art. 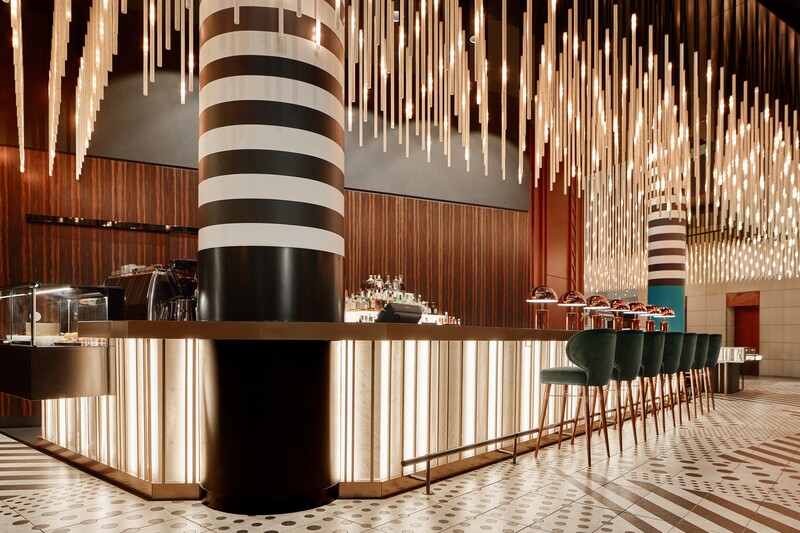 A big zebra in the restaurant consisting of Bauhaus ornaments, blinking fishes swimming around the columns and rising to level 2, footprints of animals and the fitted carpet with zebra stripes print – all this could appear only in Pullman Berlin Schweizerhof. 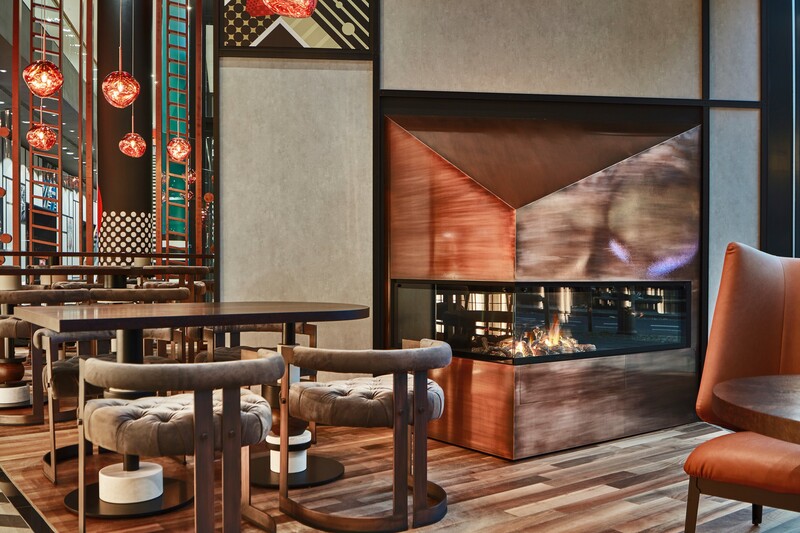 The strict geometry of Bauhaus shapes is supplemented by expensive materials: leather, copper, marble, onyx adding to the aesthetics and coziness of the hotel, which is interesting to come to and pleasant to stay in the bar or have dinner in the restaurant. 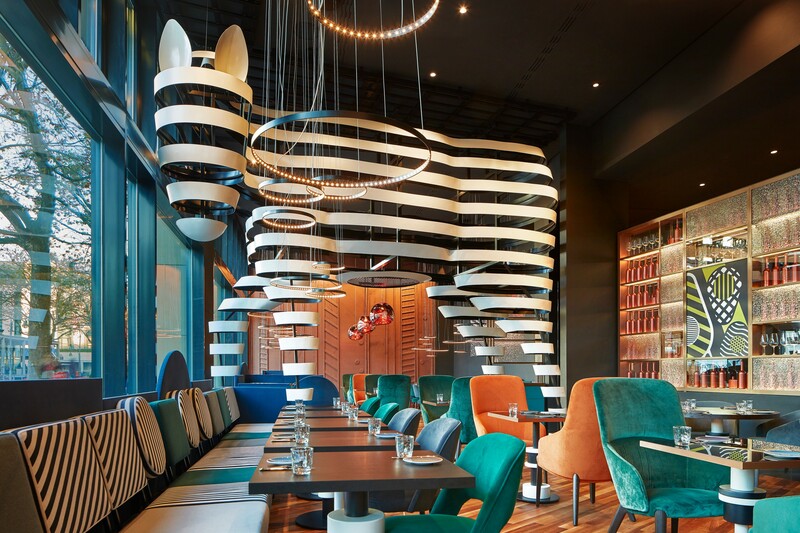 The ceiling works as an objet d’art: it attracts attention from the outside, and creates a relaxed, warm atmosphere on the inside. 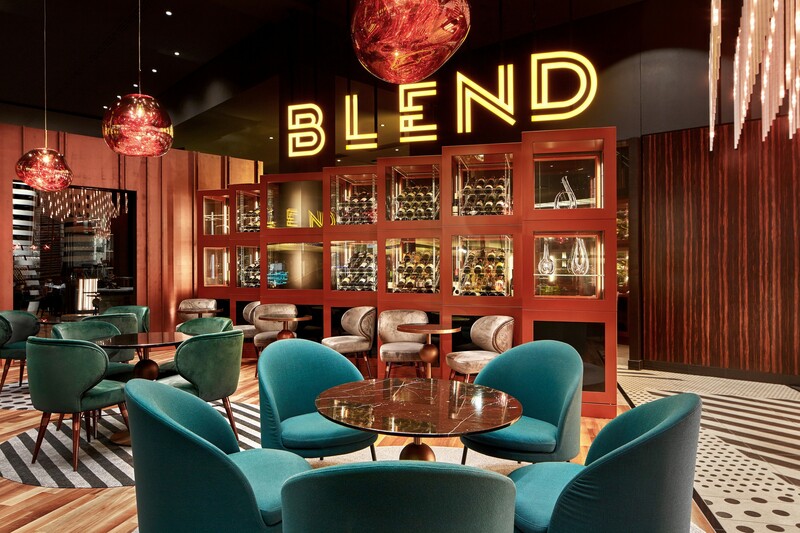 Its most important feature is that it’s interactive; right now it shows patterns in the general style of the hotel, but during special events or conferences, for example, it can be used as a space for advertisements. 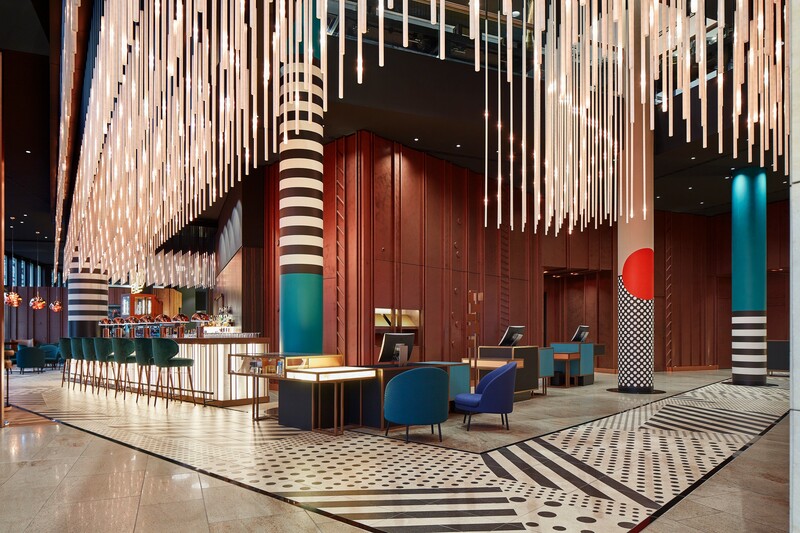 In addition to the design of the ceiling, there is a patterned strip on the floor leading the guests from the entrance to the reception desk, and then from the desk along the bar toward the restaurant. Thus we have managed to find solutions for the tasks set. 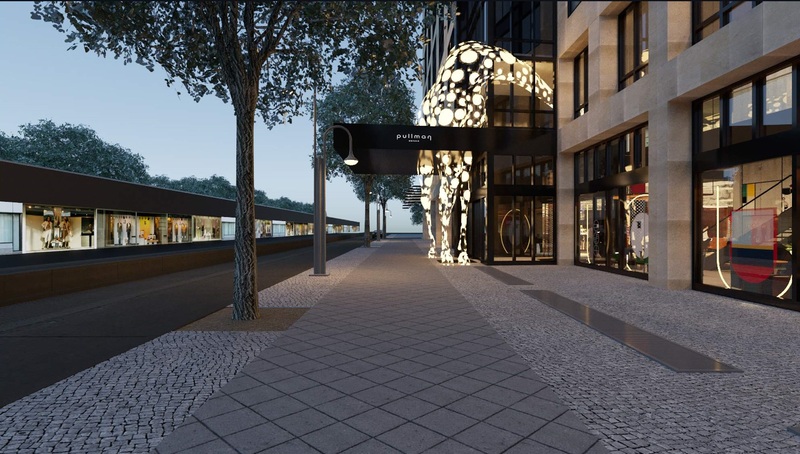 We have renovated Pullman Berlin Schweizerhof without changing the existing structure. We have erased the borders between the interior and the outside making the hotel friendly both for the guests and for passersby. 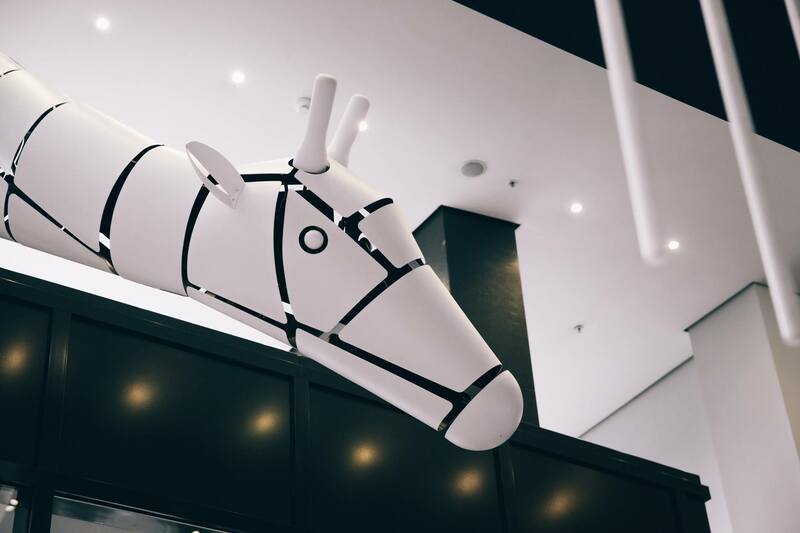 Our ZOO objets d’art and the use of German Bauhaus style elements are distinctive and fit the place so perfectly that the hotel design will not lose its actuality even in 10 years.